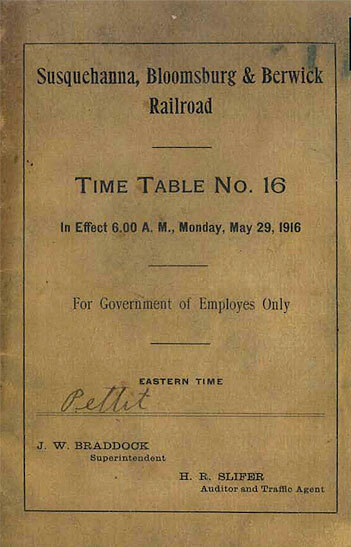 A Breif History - On June 22, 1886 the Wilkes-Barre and Western Railroad (W.B.&W RR) was formed. 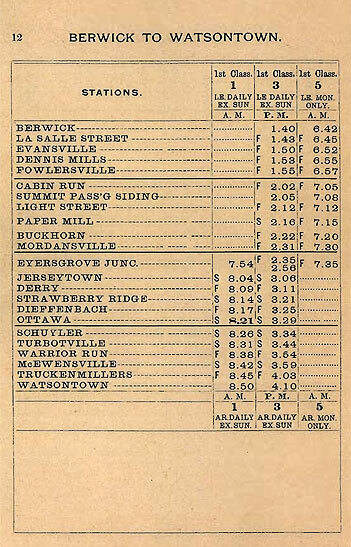 By Monday, December 13, 1886 the railroad opened for business with two round trips each day, except Sunday, from Watsontown to Jerseytown, and a third round trip in the late afternoon to Lethergo. 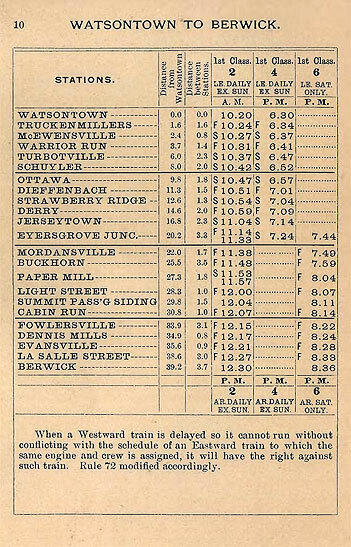 The rail line extended from Watsontown on the west (where it connected with the Pennsylvania Railroad) and had stations in Watsontown, McEwensville, Warrior Run, Turbotville, Schuyler, California (later renamed to Ottawa), Lethergo (later renamed to Dieffenbach), Derry (aka Strawberry Ridge/Washingtonville), Jerseytown, Eyer’s Grove, and Millville. 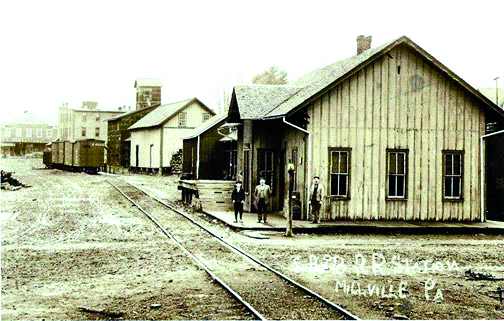 Later stops were added at Rohrsburg, Orangeville, Lightstreet and Bloomsburg. 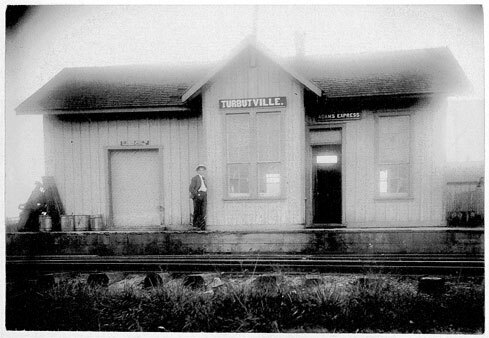 At Orangeville the WB&B used the S&B RR station and in Watsontown it used the PRR Station. 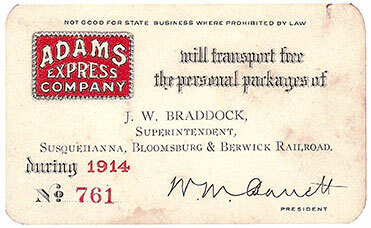 The line was originally intended to extend from the anthracite coal fields in Shickshinny in the east and merge with the rail lines carrying soft coal from Clearfield County in the west. The line to Shickshinny never fully materialized to the east. Special Sunday excursions took passengers to places like the picnic grounds at Eyer’s Grove and the Bloomsburg Fair. 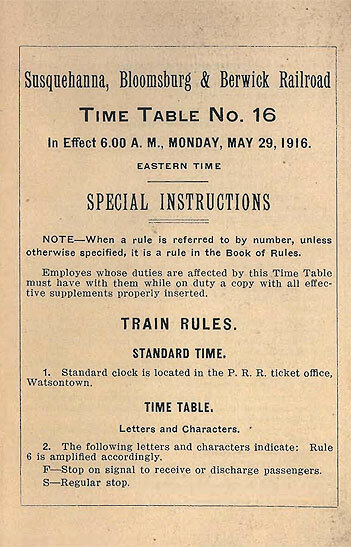 The WB&B was in operation until 1902 when it was auctioned off to a group of bond holders. 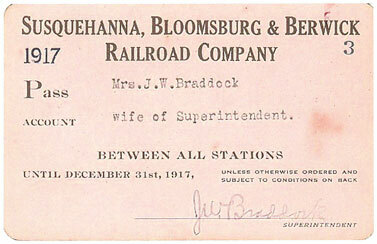 And later in 1902 it was resold again and renamed the Susquehanna Bloomsburg and Berwick Railroad (S.B.&B. RR). After this sale the new owners started to make plans to extended the line to Berwick to service the growing American Car and Foundry (A.C.&F.) plant. 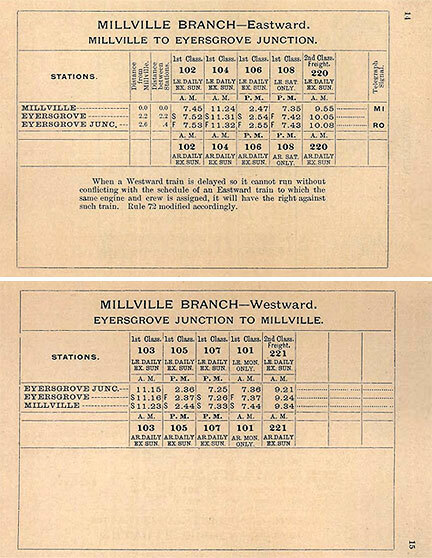 The line that ran from the Millville junction to Orangeville was abandoned and a new route that ran from Eyers Grove towards Bloomsburg, crossing Fishing Creek to Lightstreet and then on to Berwick to the A.C.&F. and ending with a station at 9th and Market Streets was constructed. The S.B.&B. 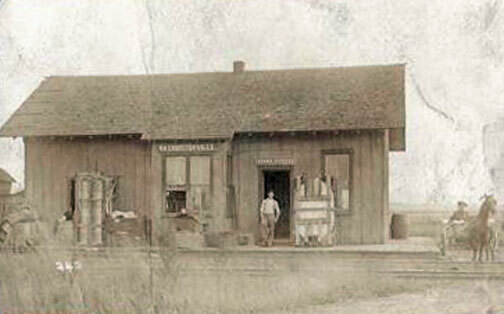 line from Watsontown to Berwick continued to be in use up until the late 1960’s when the AC&F closed. After the closing of the AC&F the line didn’t see much traffic and slowly fell into disrepair. By the early 1980’s all the tracks from Berwick to Washingtonville had been removed. 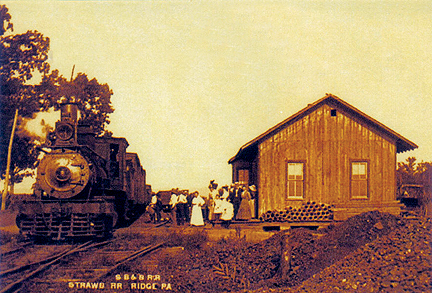 The section of the line from Watsontown to Strawberry Ridge is still used to day to service the Pennsylvania Power and Light Plant at Strawberry Ridge.